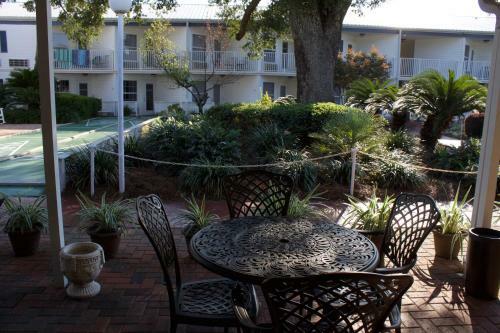 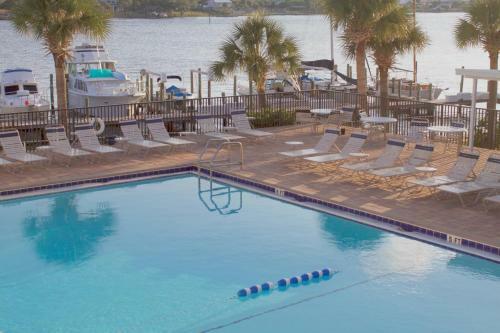 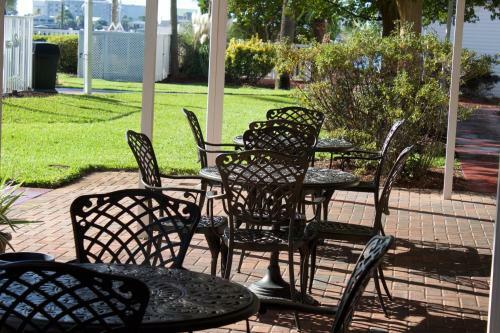 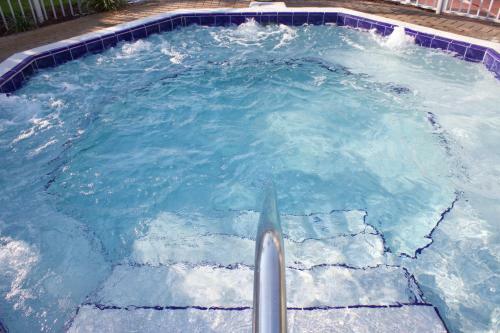 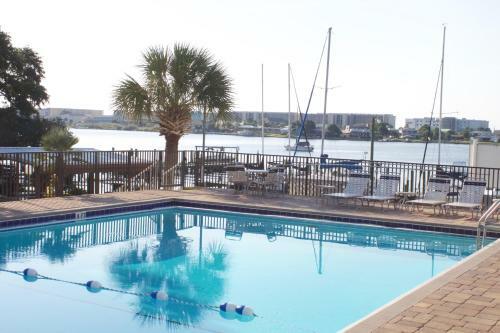 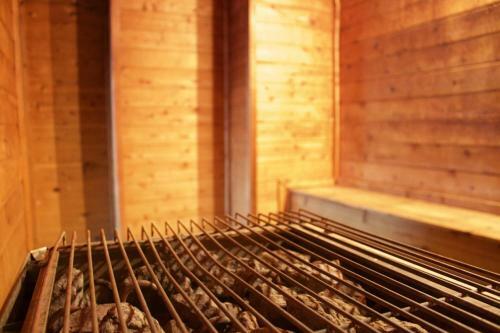 Located in Fort Walton Beach, Florida, this all non-smoking hotel features an outdoor pool and a sauna. 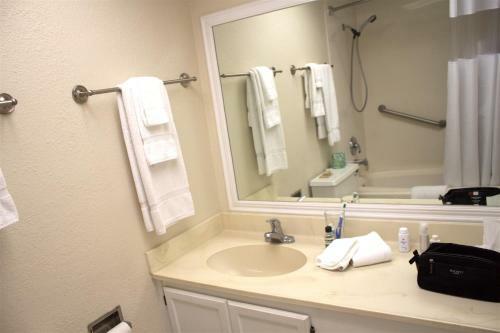 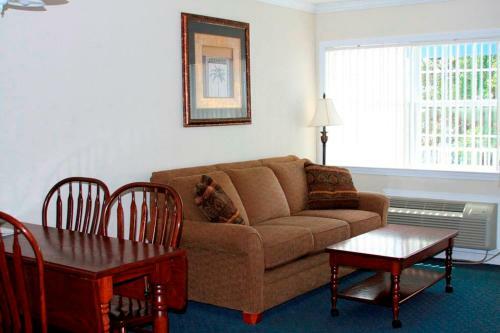 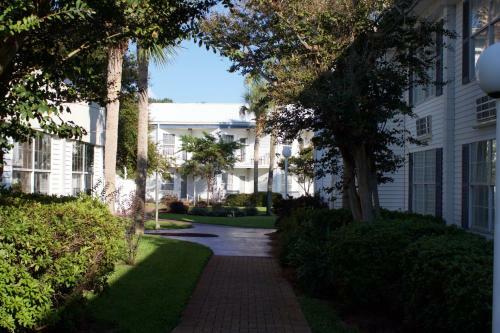 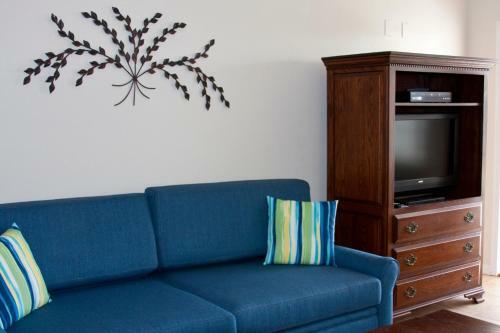 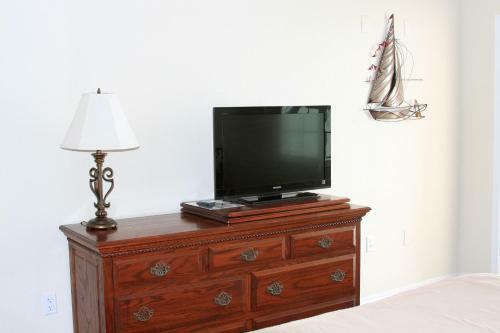 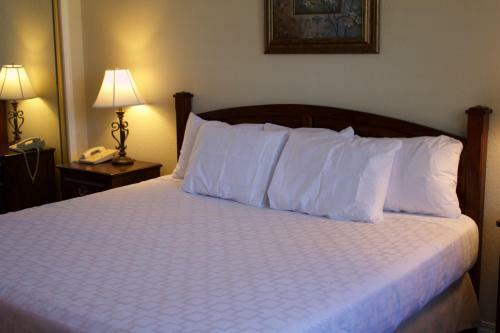 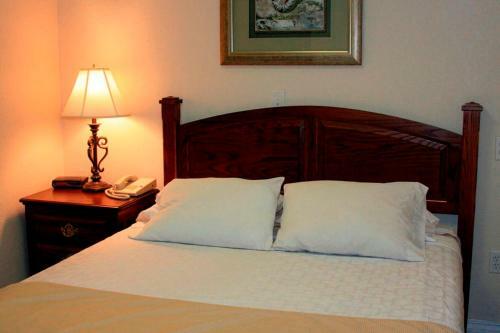 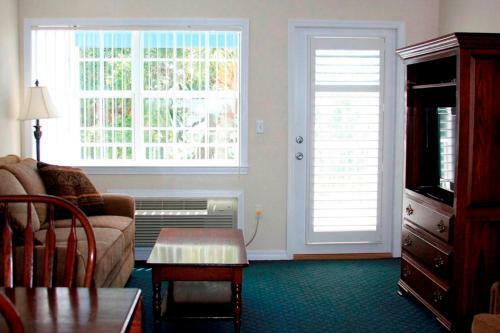 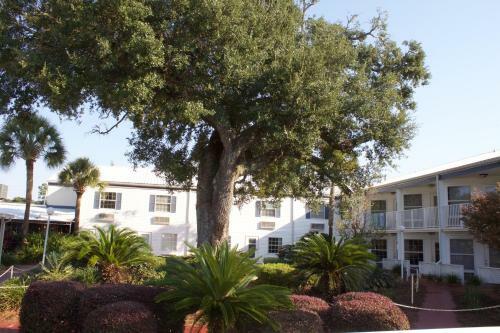 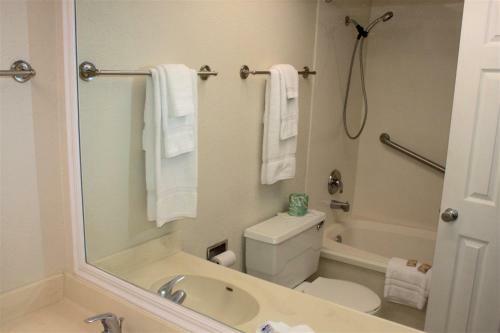 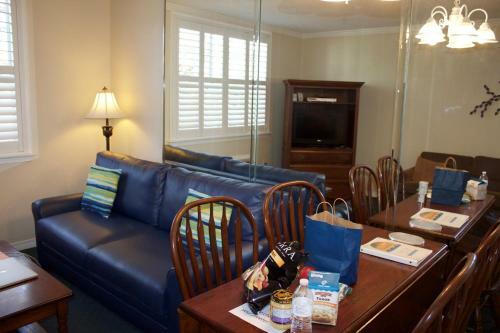 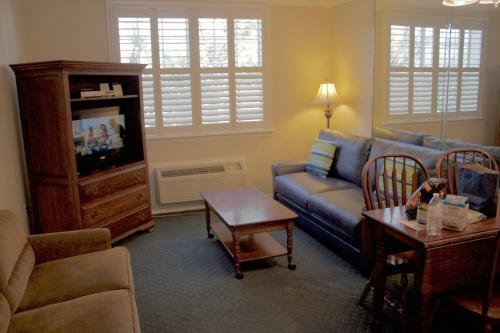 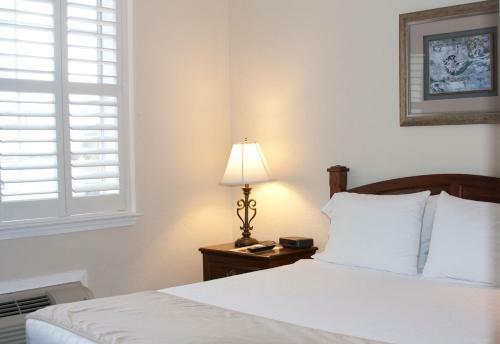 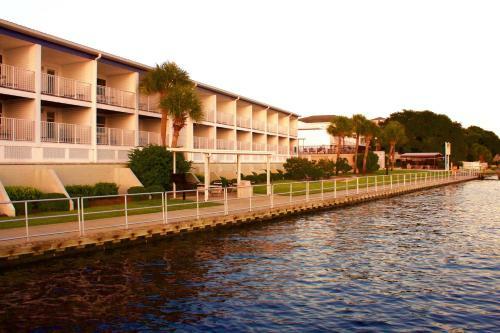 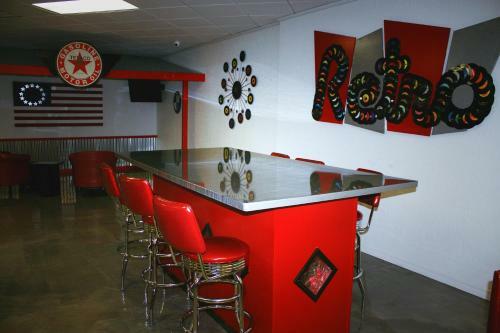 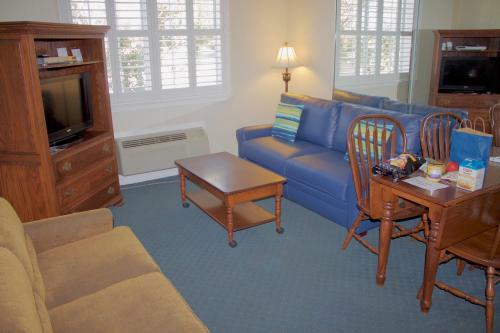 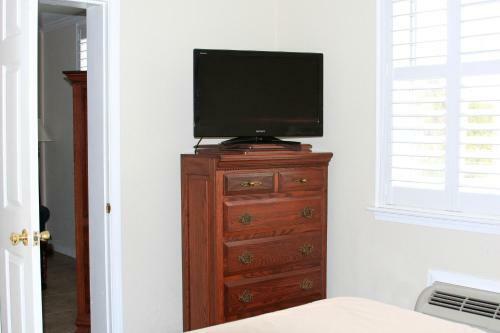 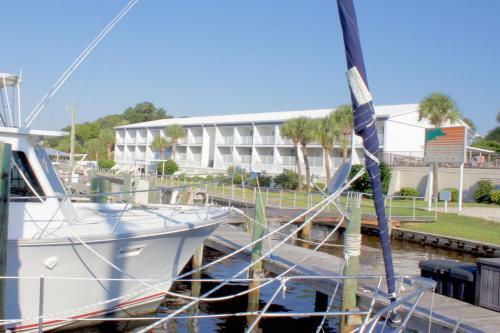 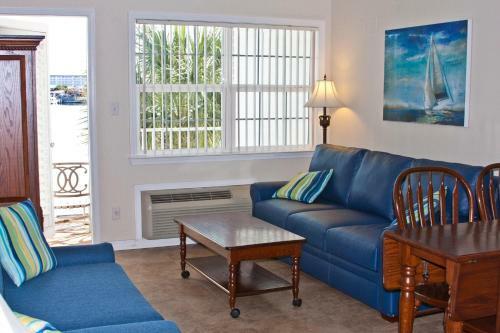 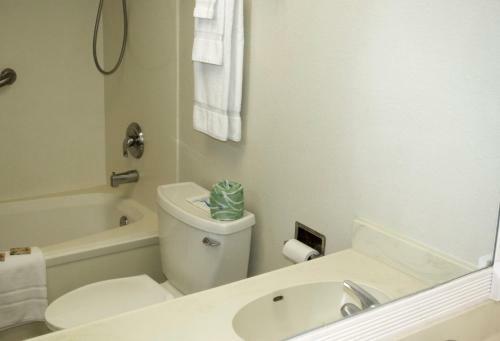 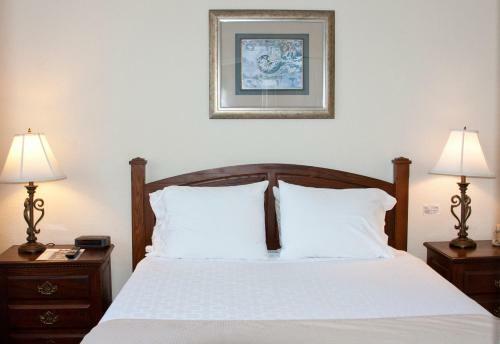 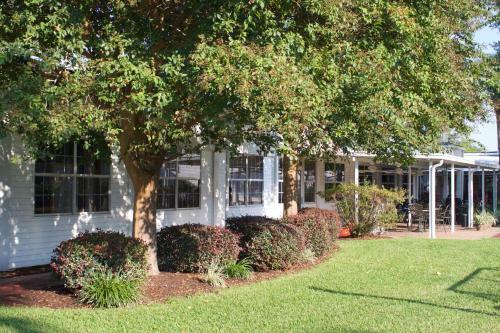 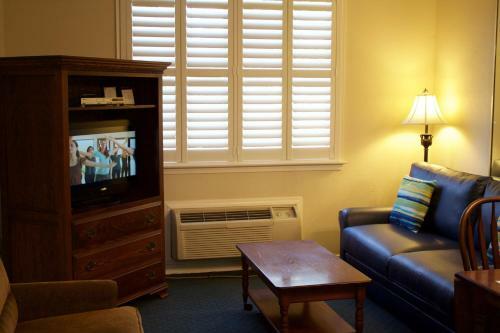 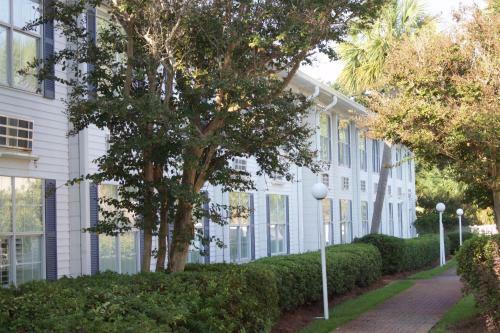 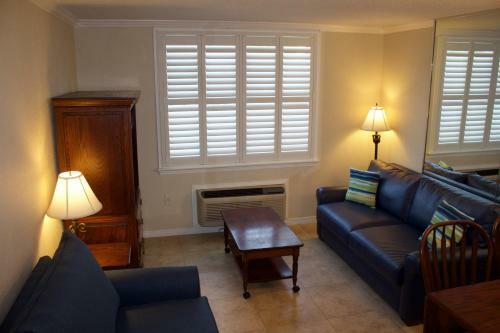 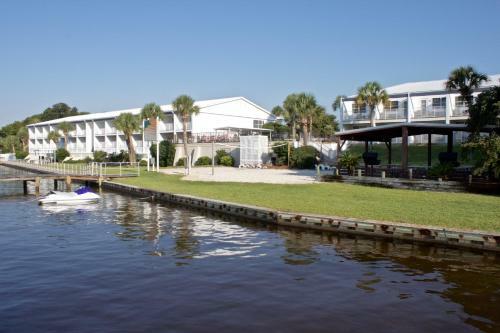 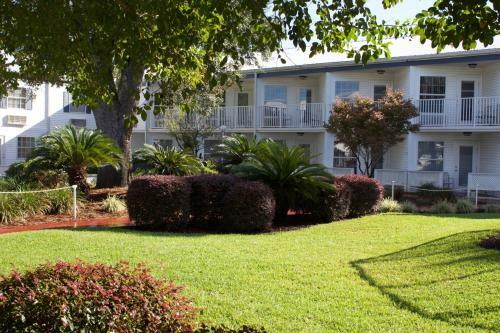 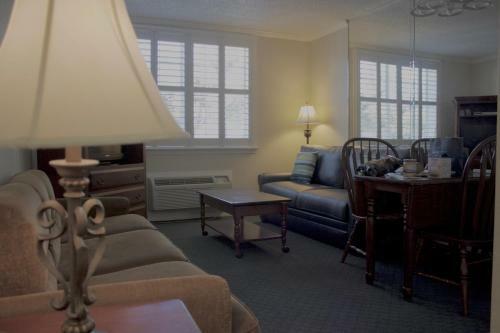 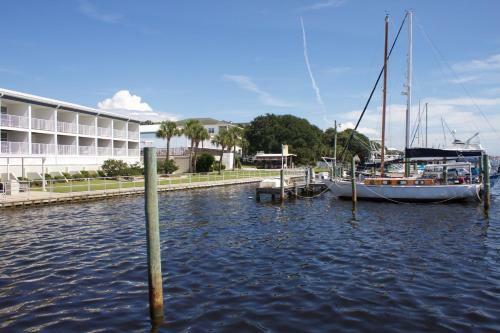 Guest rooms include cable TV and the hotel is 7.2 miles from Eglin Air Force Base. 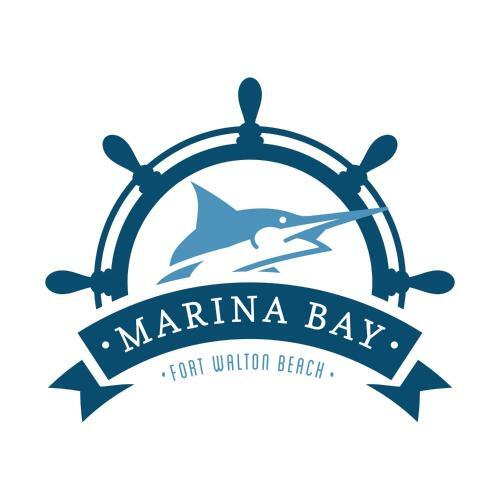 All rooms at the Marina Bay Resort include free Wi-Fi and a seating area. 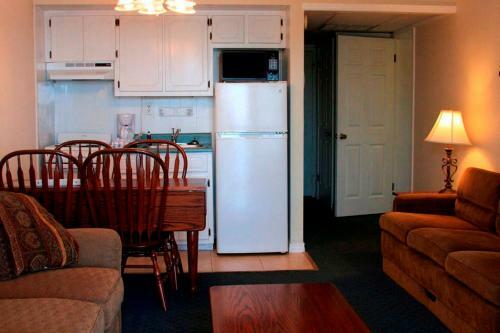 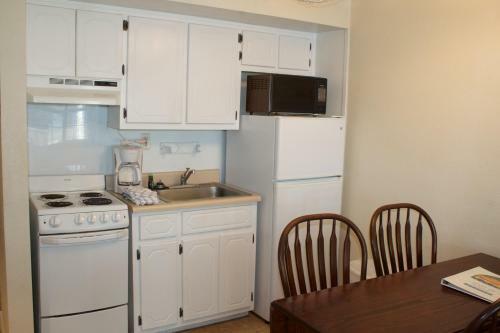 Select suites provide a kitchenette. 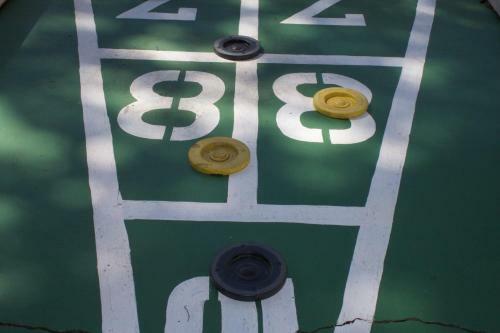 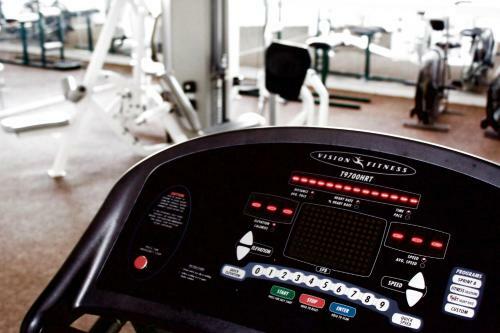 A gym and a games room are available at the Resort Marina Bay. 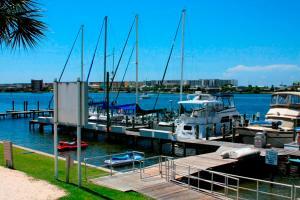 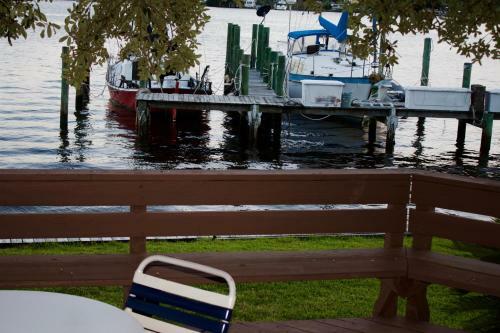 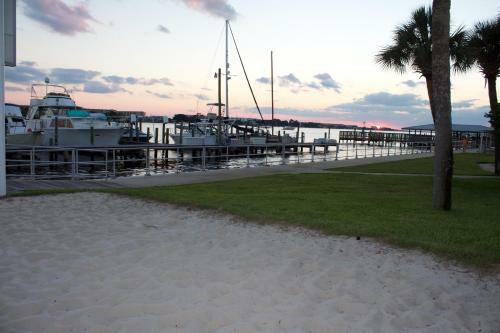 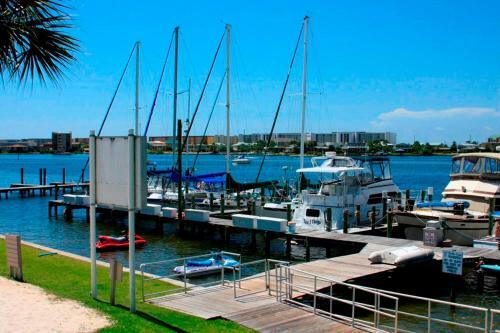 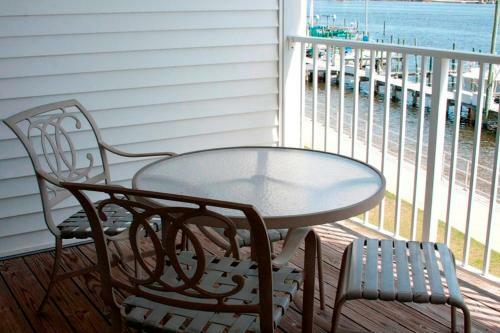 Guests can also rent bicycles or go fishing on the pier. 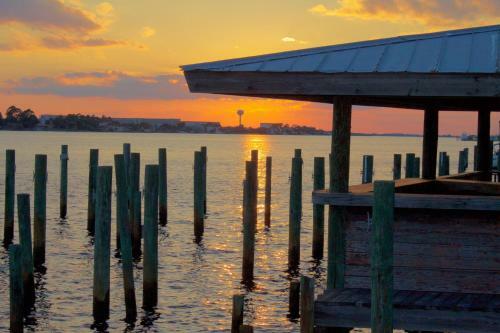 Topsail Hill Preserve State Park is 20.4 miles from the hotel. 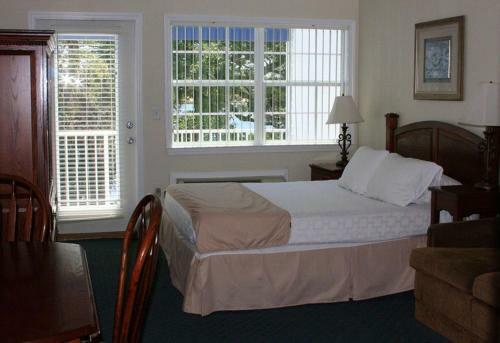 The hotel is located off the Miracle Strip Parkway Southwest.